Breaking news Jan 2014 - khan Ac starts youth content competitions- what can peer to peer youth teach more economically than college monopolies - starting with nursing? Our mission to provide a world-class education for anyone, anywhere. Resources for educators and mentors who want to explore ways to use Khan Academy in an in-person setting. Learn about Khan Academy's vision of a classroom of the future and get an overview of KA resources, including our interactive exercises and coach reports. 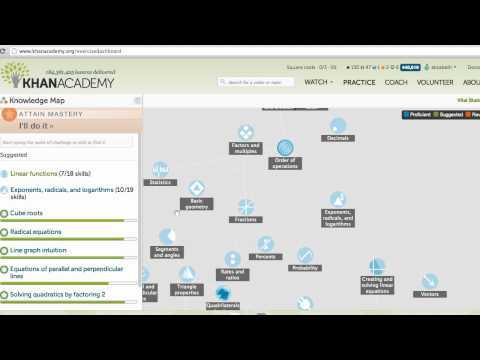 Learn how to use Khan Academy in your classroom. Start with the "Quick Start Guide" for 6 steps to get going! Learn how to use Khan Academy with your child and how to engage with their learning. Learn how Khan Academy is used outside of schools. Community programs ranging from summer and afterschool programs to jails have found benefit in Khan Academy. See how Khan Academy is used in real-life. Covers various models in public, charter, and independent schools as well as community programs with elementary, middle, and high school students. We're excited about the way these schools are using our resources and are eager to learn from more teachers and students. Yes! We now have language website available. In the footer (at the bottom) of the Khan Academy site, you can select the language of your choice. Dubbed videos in the world's top spoken languages can be found. Translated content is largely made possible by our wonderful volunteer community. We are continuing to make the video content available in other languages. Subtitled video content is also available and can be surfaced by selecting the subtitles option just below an English video to see which languages are available. You can also use the filtering tool available at www.khanacademy.org/contribute to view videos that have been subtitled in a particular language (click "Full List" if you'd like to see more tool functionality). We are first working on making the video content available; in the longer term, we hope to also translate our exercises and dashboard. This effort is largely volunteer driven, in addition to significant partnerships with organizations such as Intel (Spanish and Portuguese) and the Azim Premji Foundation (languages of India). We are always looking for additional organizations and individuals who would like to make Khan Academy more widely available. To join the translation effort, please visit www.khanacademy.org/contribute for more details and for a full list of languages. 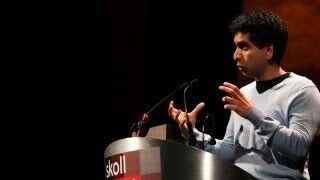 La Khan Academy est une organisation bénévole qui s’est donné pour but d’améliorer l’éducation en fournissant un accès gratuit à des enseignements de la meilleure qualité possible à chacun, partout dans le monde. Définir l'ordre dans lequel sont exécutées les opération d'une expression. Utiliser des expressions polynomiales et apprendre à factoriser des polynômes. Identifier, résoudre et faire les graphiques de différents types de fonctions. Time stamp: 40.00 - 50.00 he compares MOOC vs Khan Academy. the Khan Academy, a creator of online tutorials widely used as a form of home tutoring, is beginning to provide hard evidence for why it is considered one of edtech’s rising stars. At Oakland Unity, in tough inner-city Oakland, test scores for 16-17-year-olds in algebra and geometry have risen significantly in the two years since Khan courses were introduced. These courses are now being adopted by the Los Altos school district, also in California, which is already one of the best-performing in America. 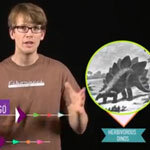 Khan Academy pinpoints the way in which edtech can turn conventional education on its head: in its “flipped classroom” pupils are no longer given lectures in the classroom and set problems as homework, but watch instructional videos at home and work on problems in class, where teachers and peers can help them. Your credit score affects parts of your life you might not expect. See what can hurt your score and the five things that can help build better credit. 39 people rated this video. Views 647 for this video. 82 people rated this video. Views 3429 for this video. 139 people rated this video. Views 2365 for this video. 11 people rated this video. Views 138 for this video. 87 people rated this video. Views 1856 for this video. 77 people rated this video. Views 1439 for this video. 8 people rated this video. Views 178 for this video. 3624 people rated this video. Views 253396 for this video. 626 people rated this video. Views 10366 for this video. 1438 people rated this video. Views 59303 for this video. 371 people rated this video. Views 8824 for this video. 213 people rated this video. Views 5449 for this video. 29 people rated this video. Views 717 for this video. 17 people rated this video. Views 274 for this video. 10 people rated this video. Views 370 for this video. 25 people rated this video. Views 762 for this video. 68 people rated this video. Views 1446 for this video. 57 people rated this video. Views 1311 for this video. 528 people rated this video. Views 55444 for this video. 201 people rated this video. Views 7099 for this video. We want this site to be unlike anything you've experienced before. That's why we've partnered with Khan Academy, a not-for-profit with the sole purpose of delivering a free world-class education for anyone, anywhere. The Khan Academy approach is focused on enabling people to learn what they want to know - in their own way and at their own pace. BetterMoneyHabits.com is a new way to learn the "why" and the "how" behind personal finance and we believe our collaboration with Khan Academy will help you put that knowledge into practice more effectively than ever before. 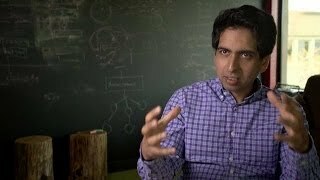 We're pleased to be working with Sal Khan and Khan Academy to bring you a unique, engaging and valuable online experience. 2013 Bank of America Corporation. All rights reserved. Bank of America, N.A. Member FDIC. Equal Housing Lender 2013 Bank of America Corporation. All rights reserved. Find out what helps you grow and how we can measure growth. For years now we have been getting requests to offer a complete Calculus course on Khan Academy. In an effort to create a course of the highest quality by Fall 2014, Khan Academy is partnering with Phillips Academy Andover. We are working with Andover’s math department (30 teachers) to develop rigorous adaptive exercises appropriate for a first-year course in Calculus. We just started adding questions to our site and will continuously add content throughout the year. Try one of the first here. LeBron asks: What muscles do I use when shooting a basket? 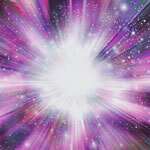 How old is the universe? And how new are humans?